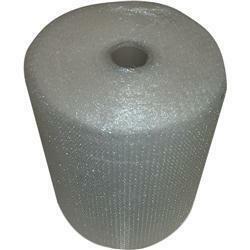 Bubble wrap but with the larger 20mm bubbles, always think about what you need to protect and which type/ size of bubble wrap is right for the job. 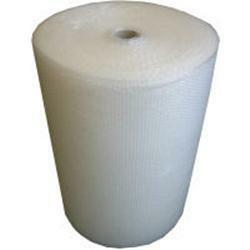 Large bubble wrap with its bigger 20mm diameter bubble, large bubble-wrap is often used to protect much larger items where more padding and bubble-wrap protection is needed, if you are storing or transporting pianos, sideboards, wardrobes or tables, the 20mm diameter large bubblewrap has the added protection required. 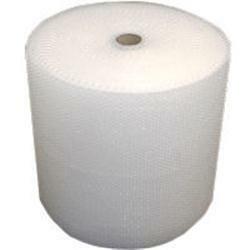 The large bubble wrap comes in rolls of a full 50 metres long and in widths of 50 and 75mm wide, 1000mm and upto 1.5 metre widths of large bubble. All large bubble-wrap is for sale from stock or for collection from our birmingham shop, by overnight courier to your home or workplace or we can often offer a same day local delivery within Birmingham and Coventry. Please call for advice, for more information or to place an order for large bubble-wrap.